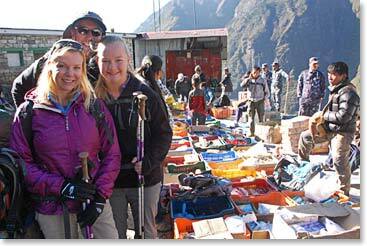 The Saturday Market in Namche starts early. We were there! 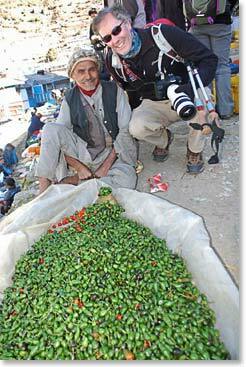 Scot checks out the wares of a chili merchant. 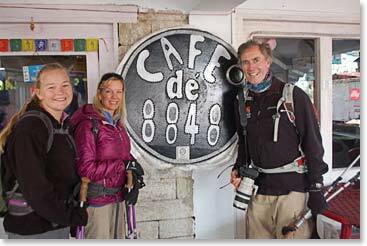 We stopped for a break at one of Namche’s best coffee shops. 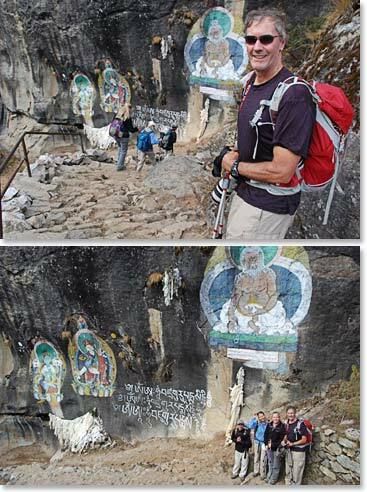 Stunning Buddhist paintings along the trail just before we reached Thame. 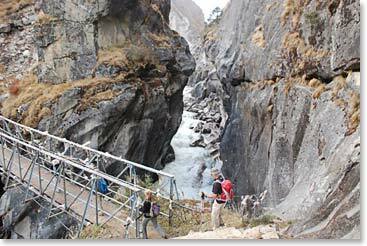 We crossed the spectacular gorge of Bhote Kosi River, which comes from Tibet. 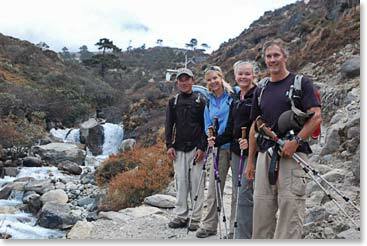 Jeyta, Alyssa, Keely and Scot just outside Thame. We are less than 20 miles from Tibet! 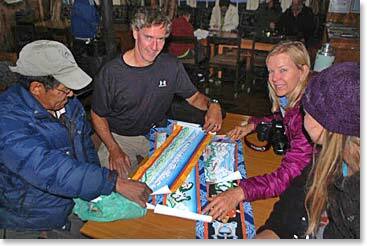 We met Ang Pasang Sherpa, who lost his fingers to frostbite on a climbing expedition. 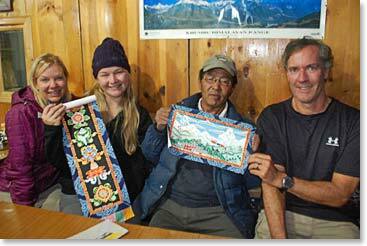 Ang Pasang paints beautiful Thanka paintings which depict Sherpa life and religion.